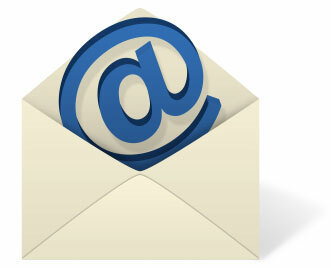 Do We Really Need Facebook E-Mail? The Internet has been buzzing now since the rumor hit that Facebook is working on a webmail application that is codenamed “Project Titan.” While this does seem like a natural next step for the monolithic social network that now boasts over 400 million users, the question is do we really need it? TechCrunch recently said it had talked “to a source with knowledge of the product” that informed them that Facebook was indeed looking into launching it’s own e-mail product. Apparently the company, at least internally, feels it is building “a Gmail killer”, and that might explain the rather grandiose codename of “Project Titan.” The tipster went on to say that the product would feature POP and IMAP support which would be a large step over the lackluster implementation of e-mail we saw from MySpace some time ago. You would be able to access your “@facebook” e-mail on your phone and in your favorite third-part e-mail clients such as Outlook and Thunderbird. The question that immediately popped to my mind upon hearing this rumor was, “why?” Not so much “why is Facebook doing this”, but more “why would anyone want to trade their current e-mail address for a Facebook one?” The ever changing e-mail address of some people has been a reason cited by some pundits, such as John Dvorak, as to why e-mail is losing the fight to instant messengers and services such as Twitter. I have had two major email addresses in my life, the first is still an open account I check from time to time, but my second is my Gmail account that I moved to because I loved the features of the service. At this time I have little to no interest in changing my address again as it is the one I have been writing under, my PR contacts have it, my friends, my family, business contacts, it’s printed on my business cards, it’s on my blog; changing my e-mail address at this point would be a monumental headache. Something you need to remember is that when you signed up for Facebook you had to give them an e-mail address to register with. 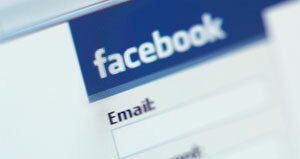 Are you now going to abandon that e-mail address just so you can have an @facebook address? What does having that as your e-mail domain provide you with? Facebook has a reputation for being a site filled with silly photos of people at college parties, is this a reputation you want to attach your personal wagon to? Is this what you want potential employers to think about as they’re considering your application? It’s been well documented that employers are using Facebook with increasing frequency to vet new hires, do you want to give them more motivation to do so? Few other platforms have the ability to do anything remotely as powerful. The tremendous size of Facebook’s user-base allows it to implement new features that can often eat the competition within months. […] When they introduced this email service, I have no doubt that many users will replace their old addresses with Facebook’s. I’m sure many people will, it just doesn’t necessarily mean it is the correct decision. What say you? Will you switch to an @facebook e-mail account when/if this happens?